I didn’t know much about Jacksonville Florida when I planned my Florida girls getaway. Since we were flying into their airport, it only seemed right to carve out some time and explore it a little more than just driving through. 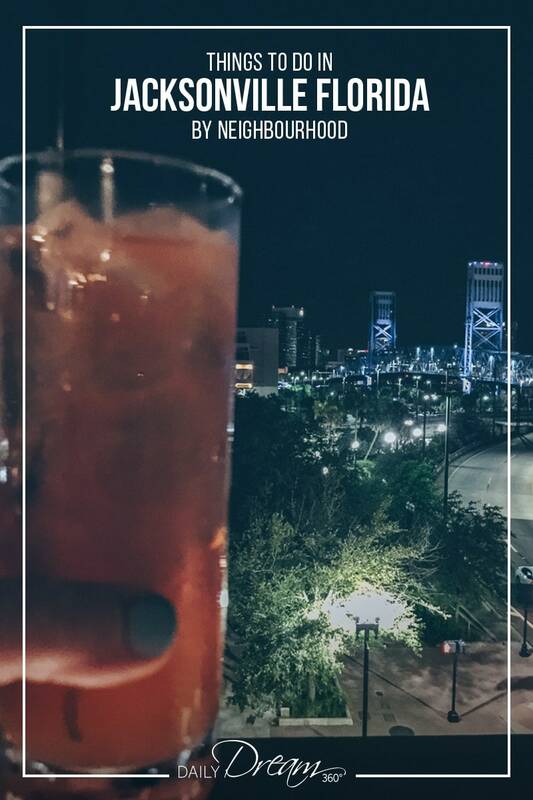 We decided to explore some Jacksonville FL neighbourhoods to visit before our flight home, and I’m so glad we did. 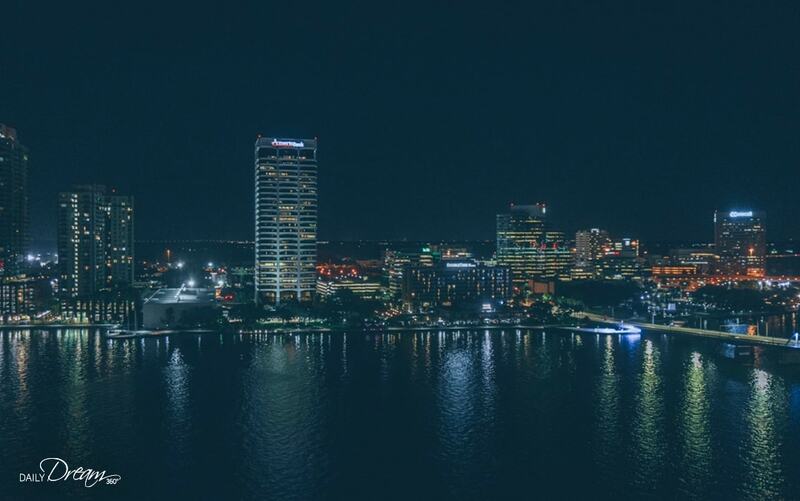 Just 20 minutes from the Jacksonville International Airport, we made our way to the heart of the city. The downtown riverfront was under construction, but there were still many paths and things to do along the St. John’s River which runs between the city’s skyscrapers and hotels. There are some bars and restaurants located near the stadium area known as The Sports Complex which is located right in the downtown area. 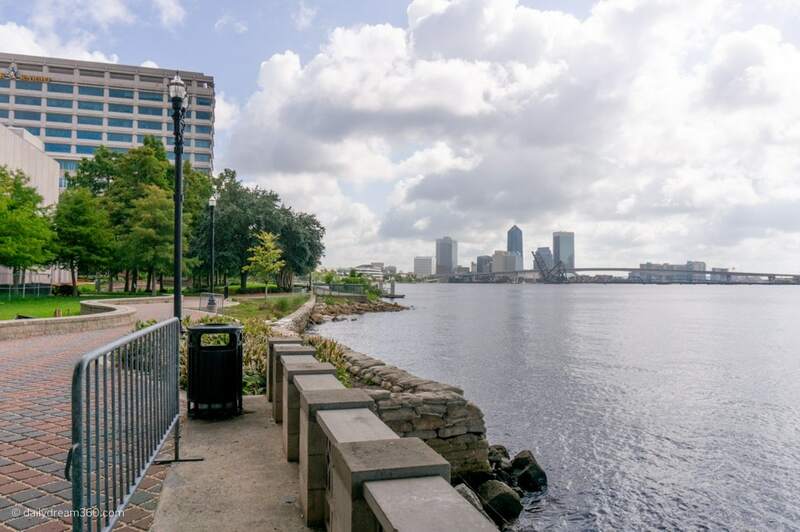 We primarily explored the north bank of the river in downtown Jacksonville along the riverfront which is the location for Jacksonville Landing, the boardwalk and our hotel. Located in the centre of it all the Hyatt Regency was the perfect hotel for our short 2-night stay in the city. We had a beautiful riverfront view double room at the hotel. 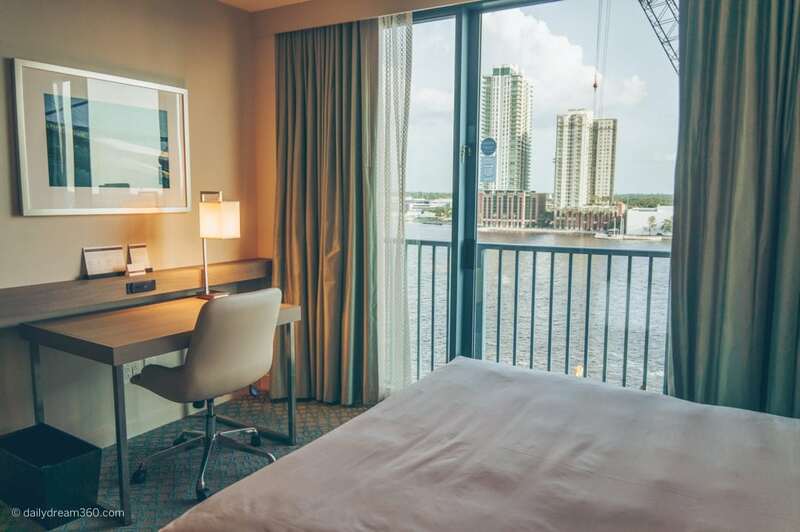 Read more on our stay at the Hyatt Regency Riverside in this post. 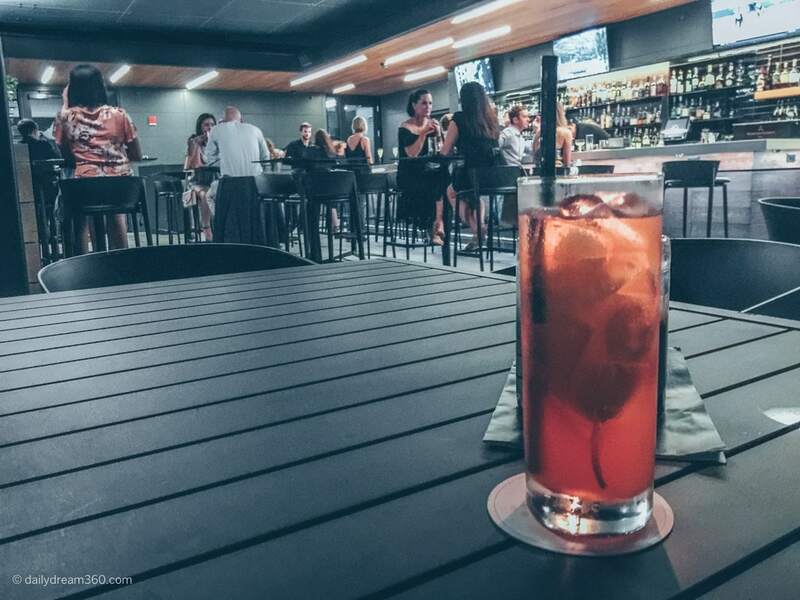 Looking to indulge in some signature cocktails on a rooftop patio overlooking the city? With a great view of the Main Street Bridge lit up in blue and within walking distance of the Hyatt, you’ll find the Crawford Chophouse. 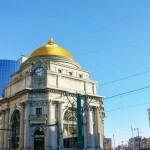 This high-end steak restaurant was built in a historic First National Bank building. Our waiter explained that while restoring the building the owners of the restaurant discovered many historical artifacts which they donated to the Museum of Science and History. The Chophouse is now on my list of places to eat the next time I stop into the city. The high-end steakhouse was packed, and I recommend a reservation. The rooftop patio was also very busy, but we managed to grab a table with an extraordinary view of the city. It’s the one neighbourhood I regret not seeing enough. I realized once the trip was over, that I missed a hip bohemian district filled with cool cafes, funky coffee spots and restaurants. We got a small taste of what this neighbourhood has to offer from our visit to the Art Market on Saturday morning. 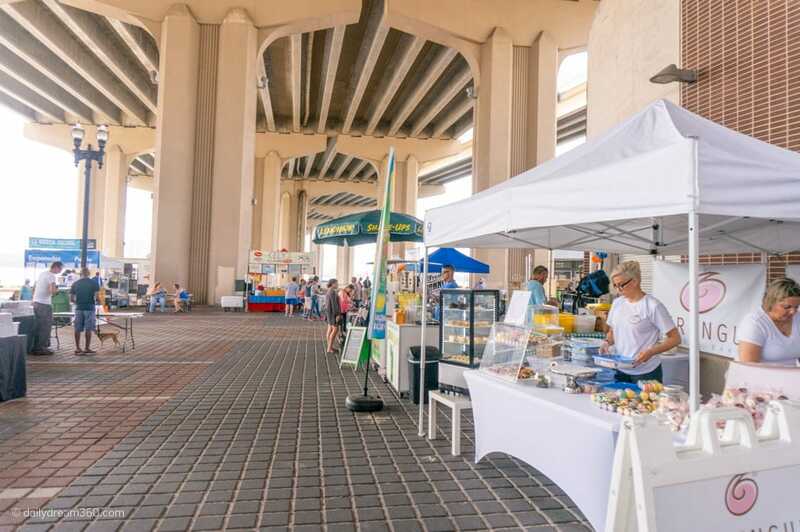 On Saturday’s from 10-3, under the overpass a few minutes from Downtown, you will find the Artists’ market where some artisans and food vendors set up. 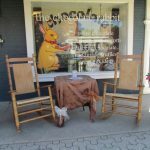 Live music plays as you browse the many booths which include local farmers, jewelry makers and other artists. 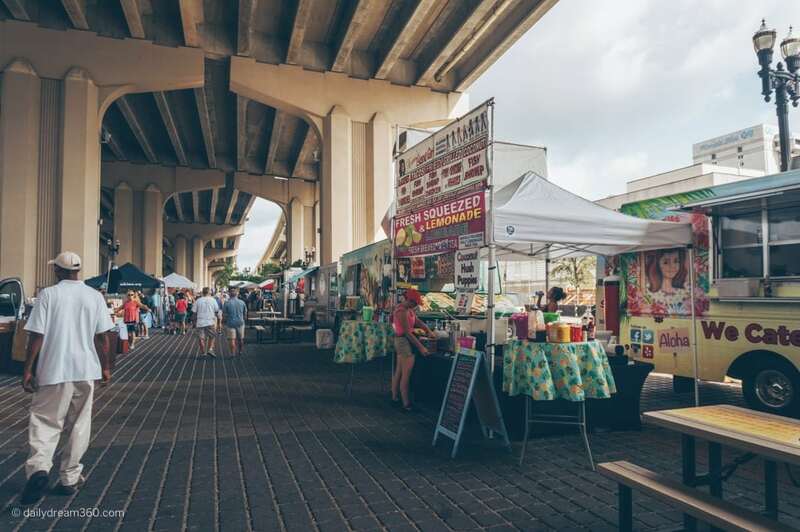 Head to the back of the market near the river and enjoy a sampling from some of Jacksonville’s food trucks which also partake in the festivities. 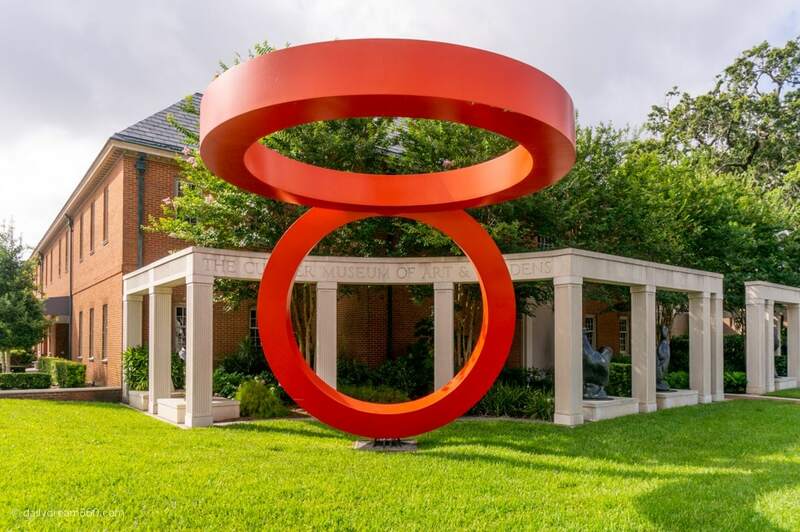 I loved the Cummer Museum as it is part botanical garden, historic home and art museum. 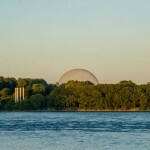 The museum sits in the land of the riverside home of Ninah M.H. Cummer who also donated 60 pieces from her estate. Today the collection includes over 5,000 pieces of art. 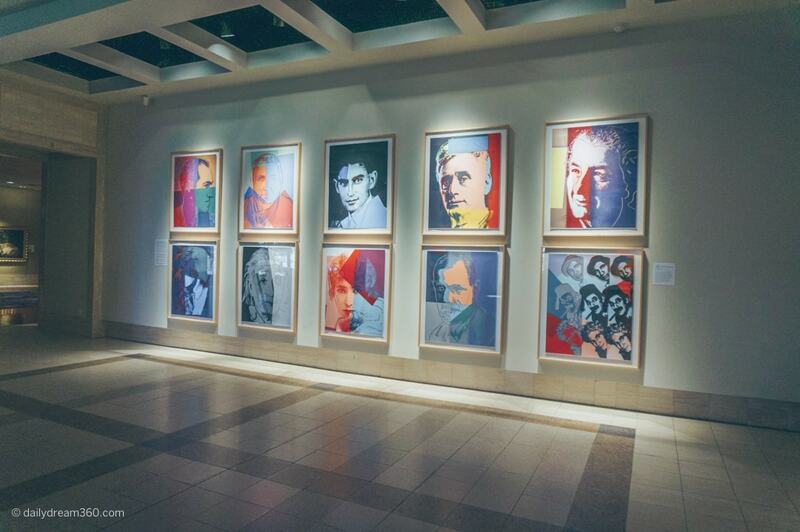 The permanent collection includes works from Andy Warhol, Norman Rockwell and Winslow Homer to name a few. 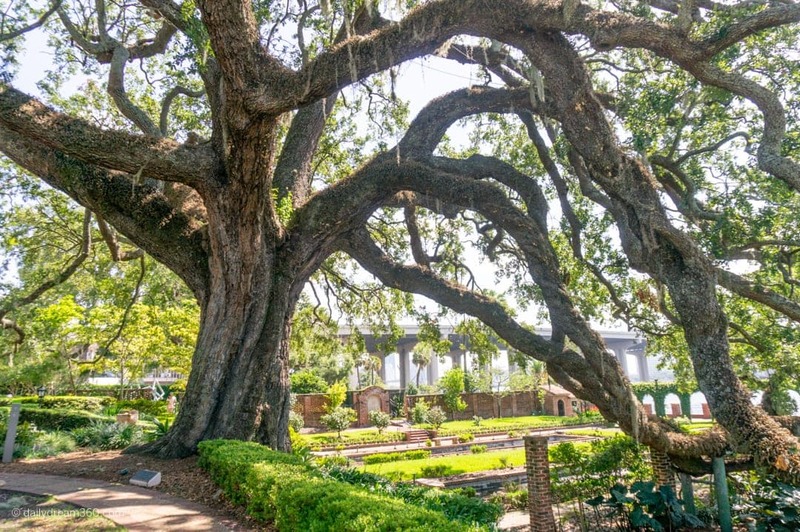 The gardens are just beautiful, and you should carve out time in your day to walk around, and sit under the incredible oak tree which is over 175 years old. 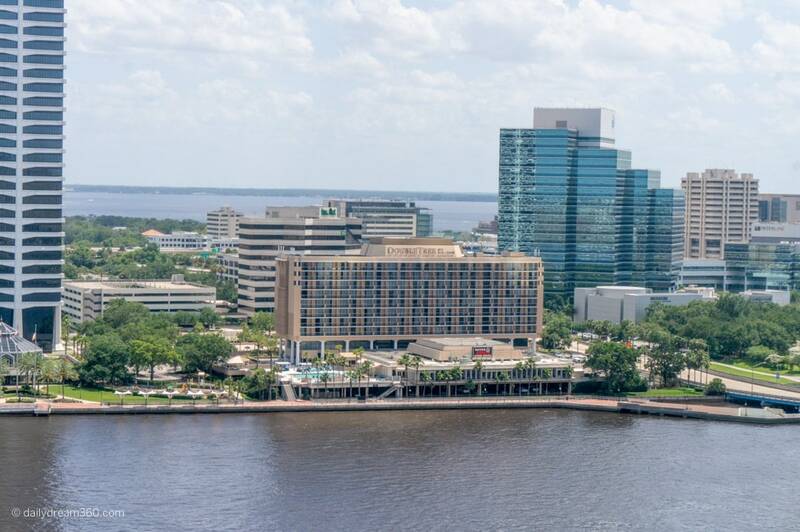 San Marco was located across the bridge from our hotel passed the south bank of downtown Jacksonville. 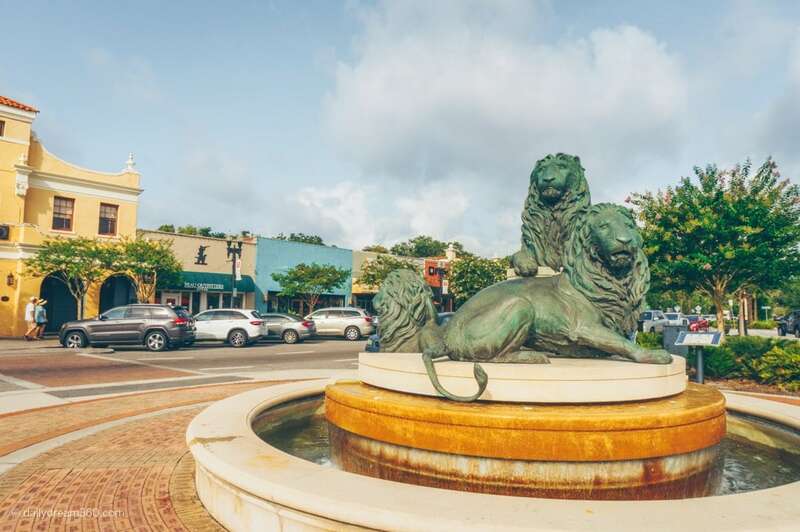 It was a quick 10-minute drive, and the area by the San Marco square has free parking. This little village was filled with local shops and dining. 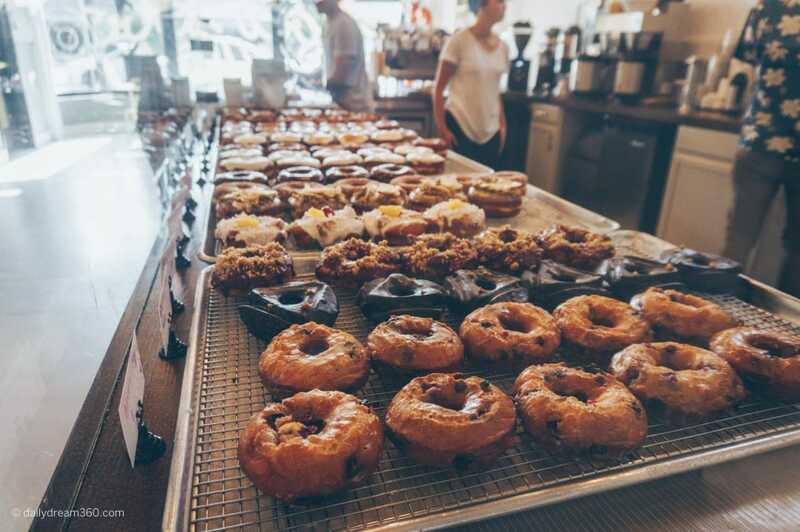 Grab an artisan doughnut and coffee at Good Dough a fantastic cafe which features excellent sweet and savoury doughnuts. Varieties to watch for include the Avocado Dough-oast, Vegan Blueberry Lavender, and Peanut Butter Sriracha to name a few. For more information see the Good Dough website. 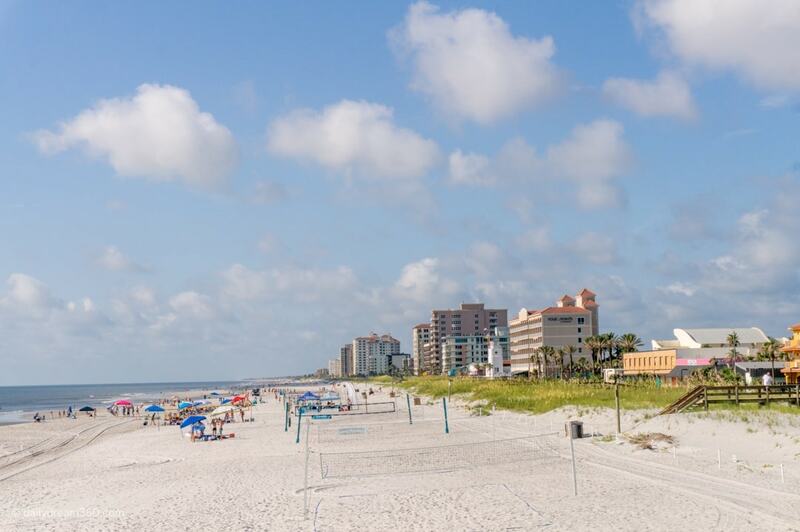 Hit the beach on the Jacksonville coastline which spans 22 miles. 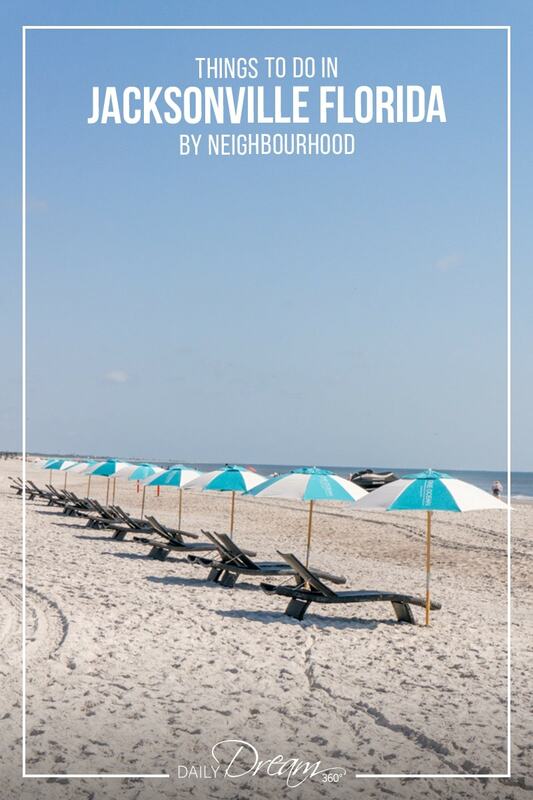 Here you will find the beach communities of Jacksonville Beach, Neptune Beach and Atlantic Beach. 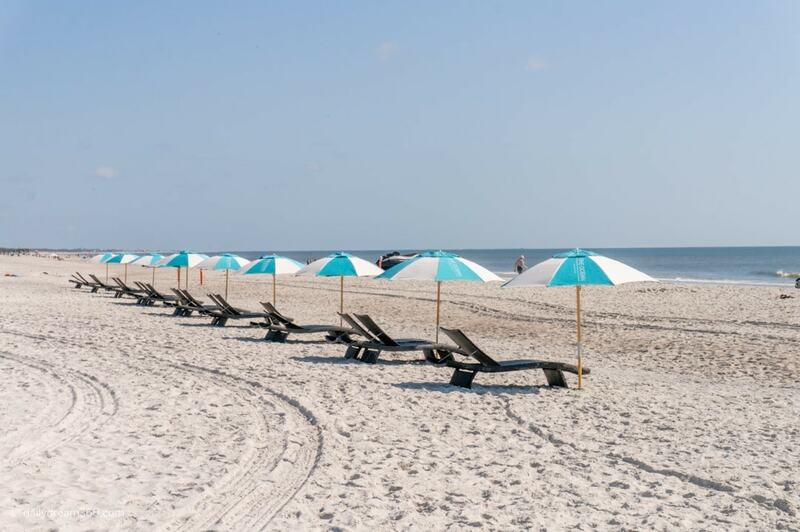 Wherever you stop in the Jacksonville Beach area, you’ll find super wide beaches, lots of water activities, great dining and fun beach shops. 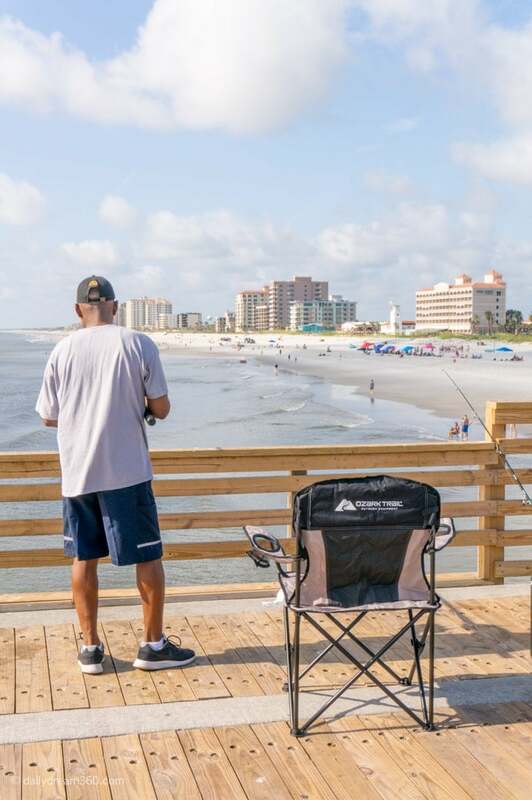 Be sure to stop on the Jacksonville Beach Pier for a great view of the beach and to engage with all the fishermen trying to catch a big fish. Those in the Toronto area who are familiar with the Heartland Town Centre will appreciate the St. John’s Town Centre and neighbouring market area. Prepare for some traffic getting in and out of the shopping district, but just about every store you can be looking for is located here. 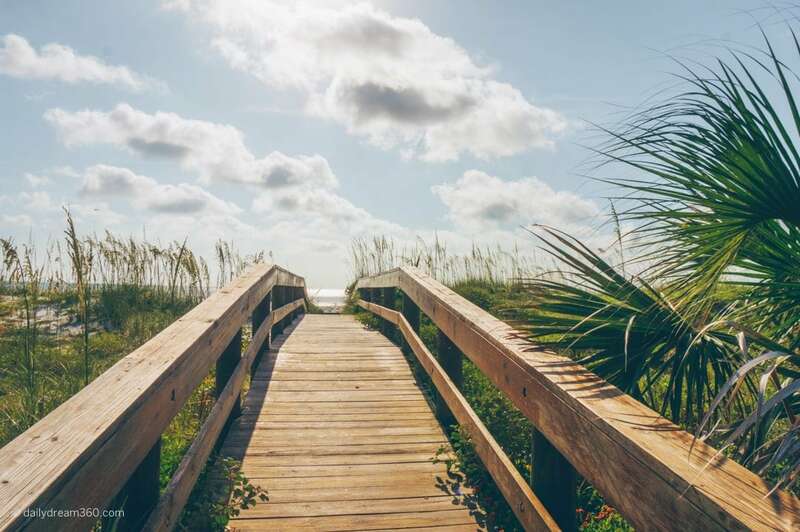 Discover more of Northeast Florida just a short1.5-hour drive from Jacksonville Airport! Travel assistance provided by Visit Florida and Visit Jacksonville on a press trip that included a vacation prize won at a media event.